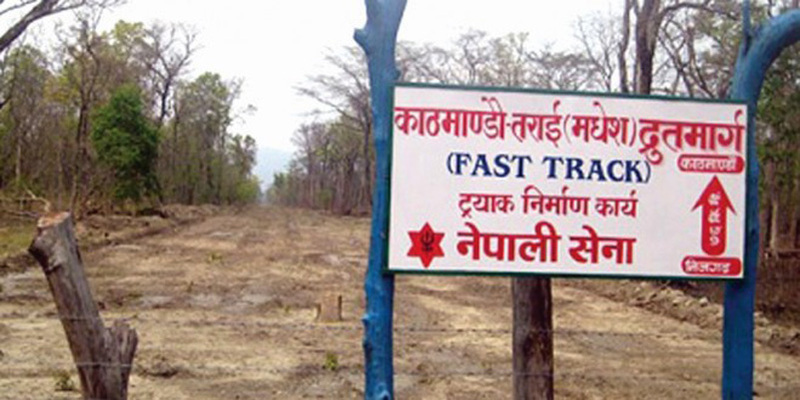 KATHMANDU, Nov 21: The Ministry of Physical Infrastructure and Transport has decided to terminate all agreements and contracts that the government has signed with the Indian consortium led by Infrastructure Leasing and Financial Services (IL&FS) regarding the development of Kathmandu-Tarai Fast Track project. Speaking at a joint meeting of parliament's finance and development committees on Sunday, Minister for Physical Infrastructure and Transport Ramesh Lekhak said that the ministry has decided to scrap all the processes, agreements and contracts with the consortium led by IL&FS, and vowed to take forward the project on its own. Lekhak also said that proposal to terminate all the agreements with Indian consortium will be presented in the next cabinet meeting. 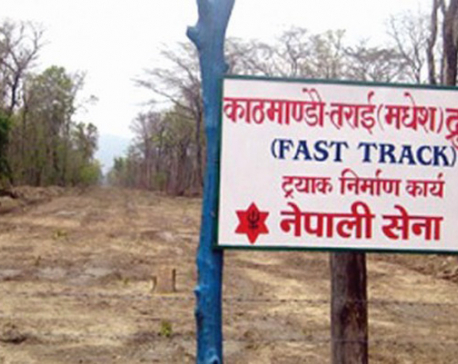 "For the Nepal Government to develop the project [Fast Track] on its own, it has to first end the process, agreements and contracts with the consortium," said Minister Lekhak. 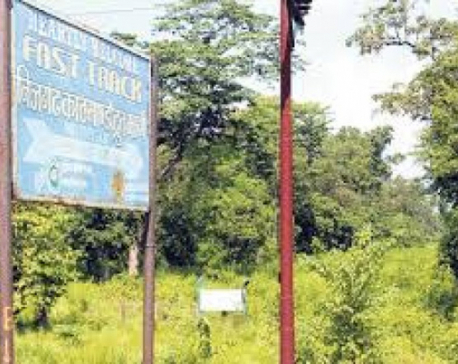 According to Lekhak, his ministry has concluded that the government should develop mega project on its own as a 'public road expressway' where there would not be any minimum revenue guarantee and toll tax. Earlier, preparations by the former Sushil Koirala-led government to hand over the 76 km expressway to the Indian company after it submitted the detailed project report (DPR) had drawn widespread criticisms, compelling Koirala to put the project on hold. The decision of the ministry to scrap all the agreements with the Indian consortium comes in the wake of widespread pressure and instruction from parliamentary committees. After issuing a stay order to Koirala-led government against awarding the project to the Indian developer in October last year, the apex court later vacated the stay order and said that it did not need to speak on the issue after the succeeding KP Oli-led government decided to develop the project on its own. Legislators on Sunday lauded the MoPIT decision to scrap the contract process. "The decision has fostered confidence that the government will now build the project on its own," said Shakti Bahadur Basnet, a legislator from the ruling party CPN (Maoist-Center). However, some legislators cautioned the government not to compromise on the proposed road standard. Meanwhile, the government has formed a committee with the National Planning Commission vice-chairman Min Bahadur Shrestha as coordinator to look into the possible modality for developing the project, study whether the DPR prepared by the IL&FS could be of any use, and possible sources of financing. Deputy Prime Minister and Minister for Finance Krishna Bahadur Mahara has said that the government would make sure that the project does not stall due to funds crunch. "The government has allocated budget for the Fast Track in the current fiscal year. And, we can arrange more budget if needed. Here budget is not the problem but poor spending is," said Finance Minister Mahara. The government allocated Rs 10 billion for the project but only Rs 1.2 million has been spent so far, he said. "If the government allocates only Rs 25 billion from the unspent budget of every year for four continuous years, the project can be built," added Pandey.